Musical Fidelity’s brand new EB-33s are truly things of beauty – like previous models beforehand, these not only look really good, but there is definite substance in the sound. In fact, the treble impact has been vastly improved this time around. So, whether you’re watching a movie, or you’re listening to favourite tunes on Spotify, the music will completely envelope you, and you’re going to love it. Is it worth your dosh. You bet your bottom it is. For a little background, the EB-33s are the third set of headphones from Musical Fidelity, following the recent launch of the on-ear headphones, the MF-100s. 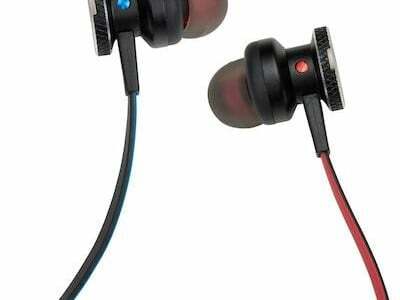 The EB-33s were designed to create this epic, lifelike sound, and it works a treat. 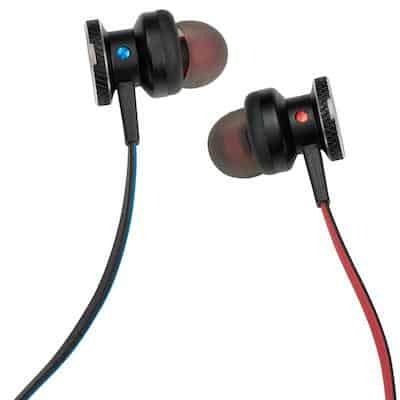 Honestly though, this writer has never really been a huge in-ear headphones, but we were surprised at the comfort of these well-built babies; they come with nine sets of earbuds so we can choose the best fit, and there’s a red (right) and blue (left) circle finish on the back so we can quickly tell which side goes in where, and that’s a nice, simple touch. The cable is also worth mentioning – it’s really strong and durable, we’ve carted ours about a lot and there’s no sign of any great wear and tear – in our eyes, one of the most important things about any decent set of headphones is cable quality and durability, so this factor is certainly a big plus. That being said, we wouldn’t recommend just chucking these in a bag when you’re done with them otherwise, they’ll just tangle. On the whole, it is the choice available here (as well as the overall look and feel) that is so exciting, and one of our favourite features has to be the inclusion of an inline mic and mute control feature so you can quickly adjust settings according to where you are and what you’re doing – though it’s a shame that Musical Fidelity haven’t yet added to their models the option to skip tracks and move forward or backwards, only pause or answer a phone-call (with a single button). With these phones using high-tech neodymium magnets and a large 13.5 mm drive unit for high sensitivity, low distortion and wide bandwidth, it creates a near-perfect all-round listening experience – they’ve been tested at this end on trains, and in the home – for focus when working, and trying not to bother the missus. Overall, if you’re into great range from mid-to-high tones and clarity (with hardly any distortion) in your headphones in time for Christmas, then these are definitely worth a shout.